Doctor Who season 10 episode 2 is a great example of the show doing some of what it does best. It was weird, but also wonderful. Also, this was an episode that featured one of the cutest aliens that we’ve seen before in the Emojibots, a race of creatures that communicates primarily using some various emoticons. Not only that, but they force most of the people around them to largely do the same thing. It may be a weird method of communication, but that’s what we saw over the course of the episode. These said robots were also murderous. The turned humans into fertilizer the moment that they realized that people were unhappy, and this put The Doctor and Bill in a most precarious position — they had to smile their way to survival, while figuring out what was actually going on with this mysterious place. At first, The Doctor felt as though this was a place awaiting settlement, and he wanted to take it upon himself to make the world better. However, as he investigated further, what was uncovered was that this was almost a Robot Revolution situation, one where humanity tried a little too hard in an effort to ensure that everyone remained happy and was able to be devoid of grief. It was a creation and an execution that went completely overboard. The people in the community basically screwed things up and caused themselves their own destruction, at least before The Doctor unlocked the truth. The next problem was trying to figuring out a way to help the surviving members of the town. They wanted to go in and effectively cause war, but that wasn’t the right course of action here at all. These people didn’t understand that said Emojibots had a very different purpose. The moment a survivor shot a robot, it meant all-out war. The Doctor in turn had to figure out how to stop it. In looking at the negative side of “Smile” this weekend, you can argue that, like many other episodes, the final ten or fifteen minutes were a little rushed as we started to figure out what exactly was going on with this place. In the end, The Doctor pressed the reset button effectively, which meant that the robots really weren’t capable of causing any harm. It seems as though the lesson Twelve wanted to teach here is that cooperation is important; these robots were not the enemy. They were the people who operated the town, and the people there would have to learn how to cooperate. In the end, we think that “Smile” is a story about collaboration, and also one about treating people and things that are different from you as the same. Maybe there is a political message here, as well. While there was no great moment of emotional fervor, The Doctor did kick off a new civilization with Bill at his side. A very satisfying episode in the end. Grade: B+. 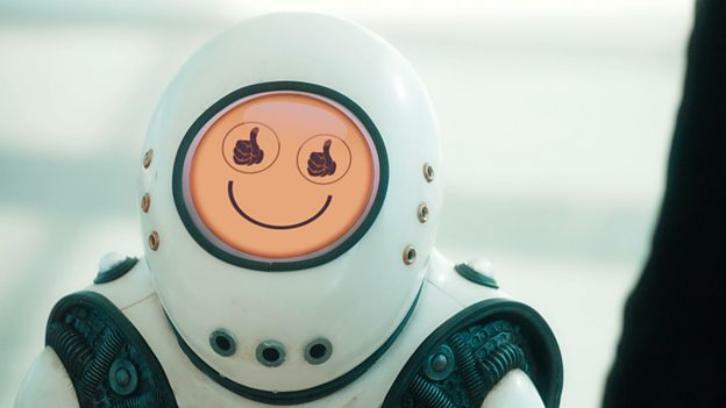 Want to see what’s next on Doctor Who?